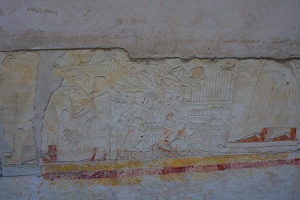 His tomb next to that of Maya, was discovered by the Dutch team of the RMO and completely restored. 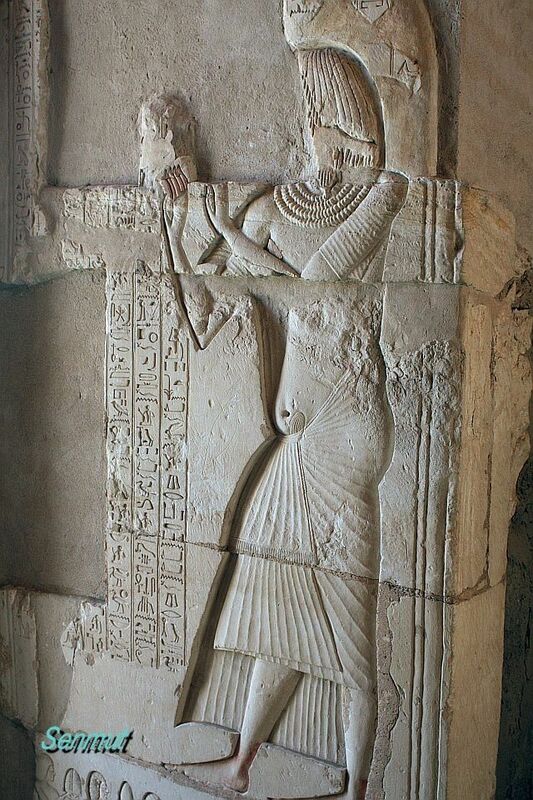 He was a son of Khaut, mother unknown and he was a person who knew how to survive. 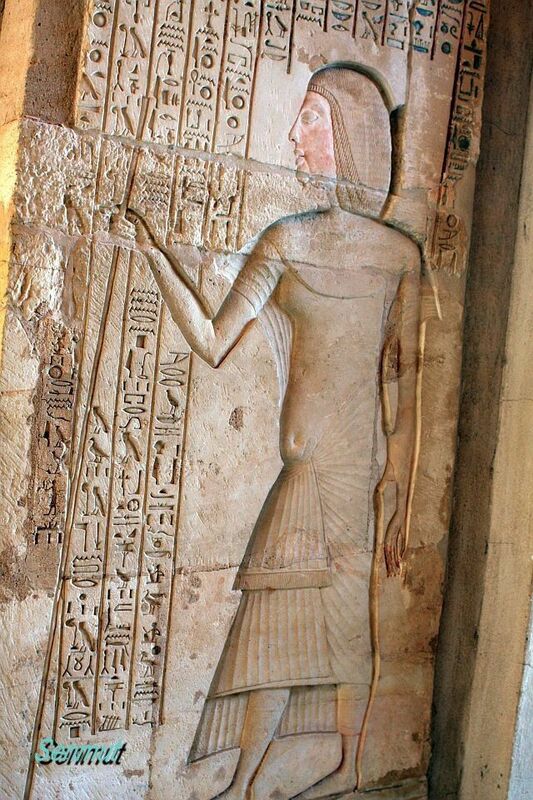 Perhaps born under the reign of Amenhetep III and came in office just before the Amarna period as Meryneith. 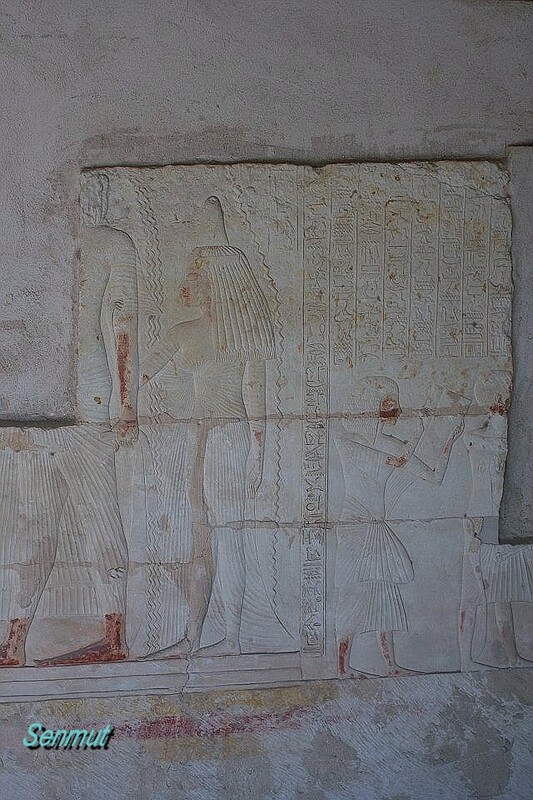 At this period all other gods were practically forbidden, so Neith could create problems for him and his career. 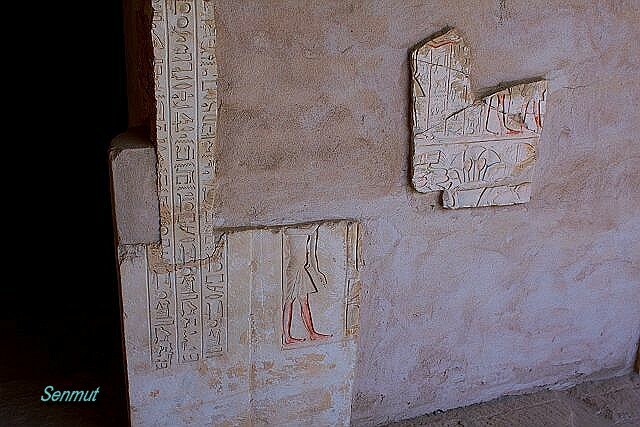 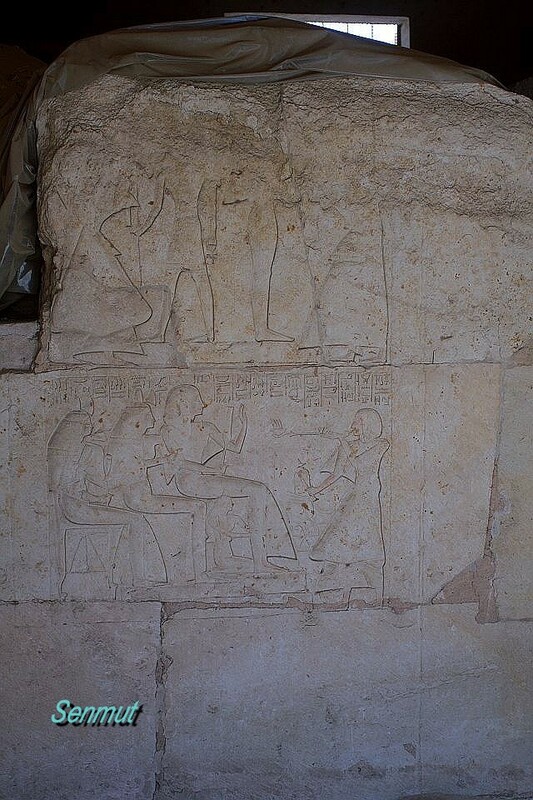 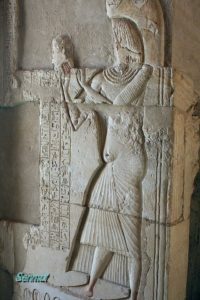 He simply changed his name into Meryre, because Re was the Aten and therefor allowed. 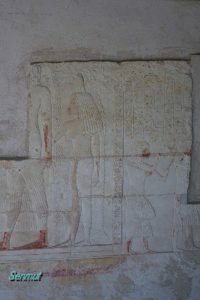 He probably is the same person who built a tomb in Akhet-Aten (Amarna) and held the title “Stewart of the temple of Aten in Memphis” during the reign of AnkhenAten. 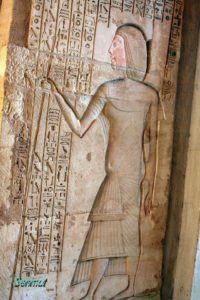 After the king died and the Aten-religion was cursed he changed his name back to the old one Meryneith, like the new ruler also did from Tut-ankh-Aten into Tut-ankh-Amen. 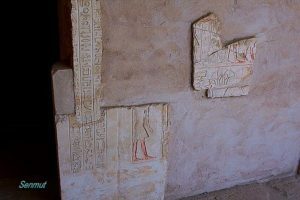 His title changed as well and he became “First Prophet of Neith”. 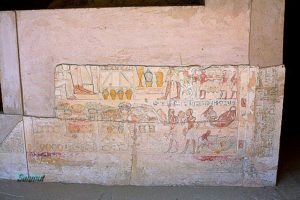 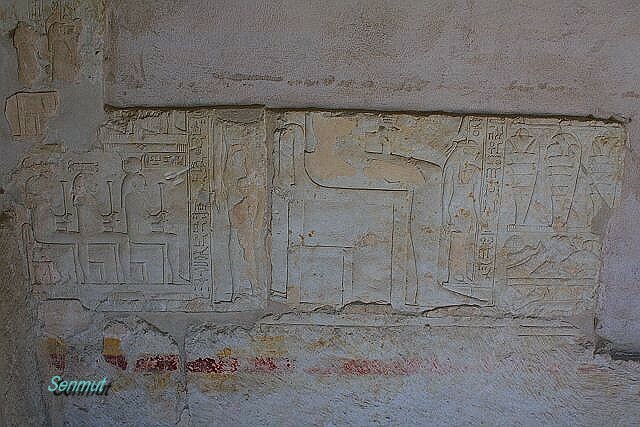 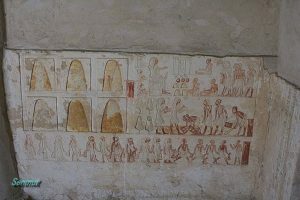 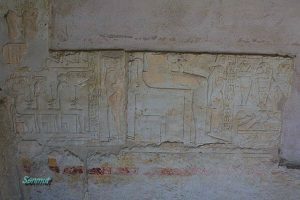 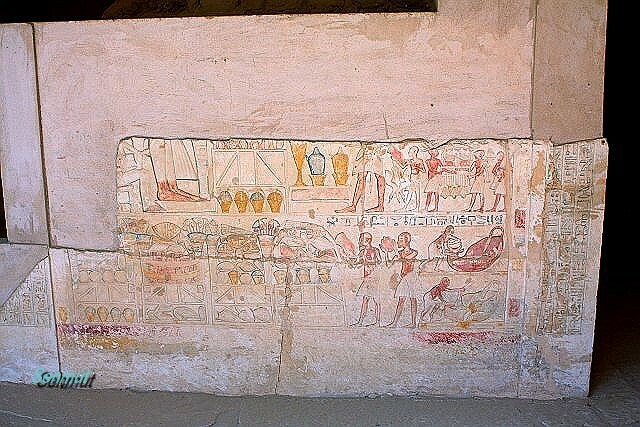 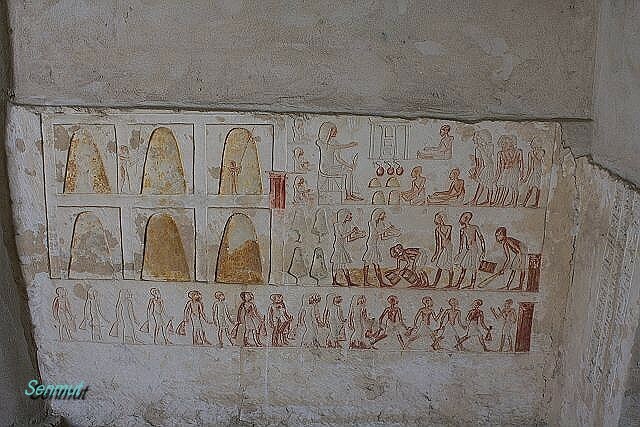 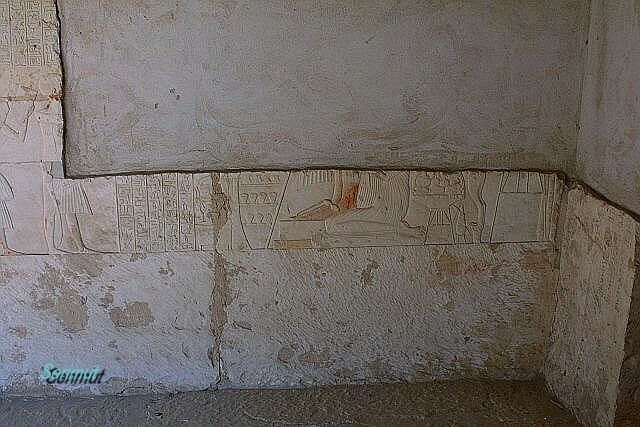 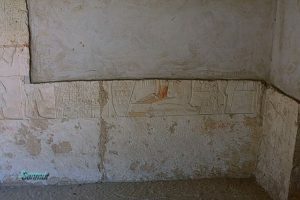 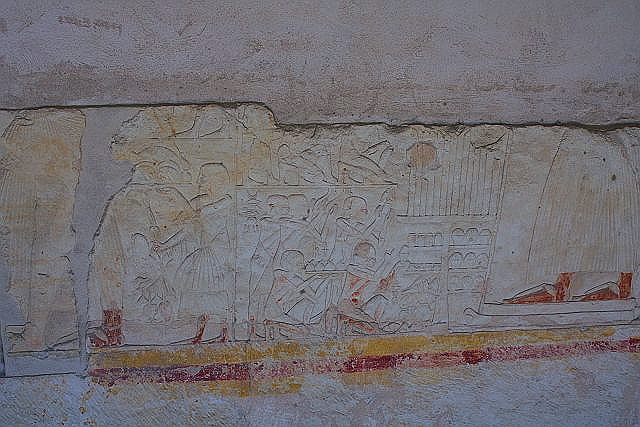 Meryneith died in the early years of the reign of Tut-Ankh-Amen and although he finished most parts of his tomb in this period, he was never buried in this tomb.